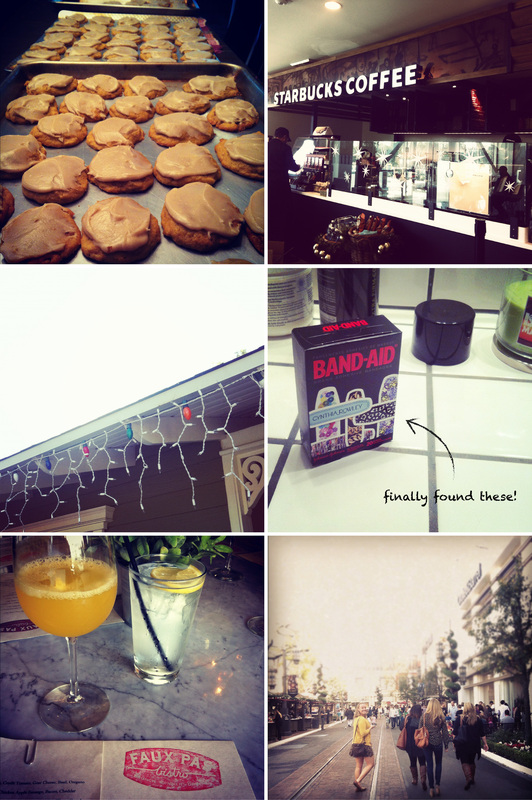 + Brunch with the ladies at Faux Pas Bistro and walking off our meal at the Grove afterwards. Oh those pumpkin cookies look amazing! Yummy. I never hear of the Cynthia Rowley band aids. How cool!